Chevy Spark For Sale! 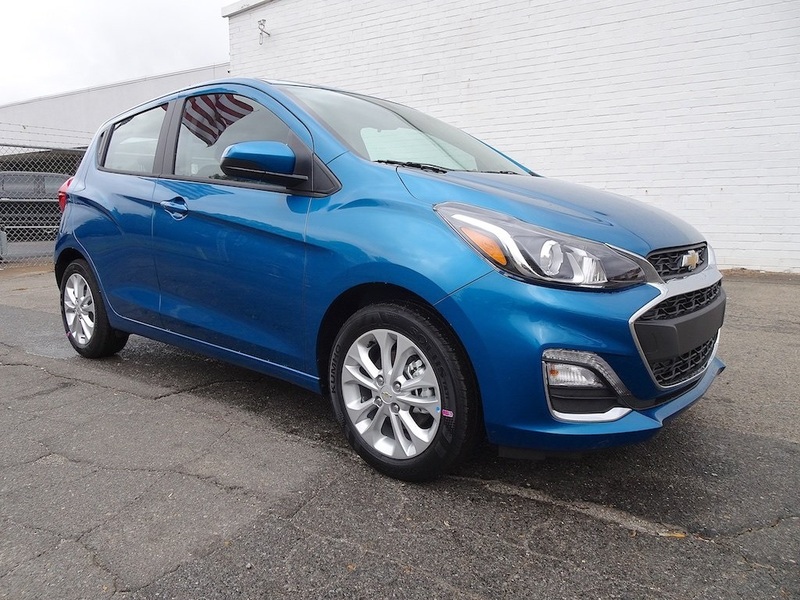 Backup Camera, All Weather Floor Mats, Steering Wheel Mounted Audio Controls, Bluetooth Phone Connectivity Capable, Cheap New Chevrolet Car! We Finance All Types of Credit! We Can Also Ship It Directly To Your Front Door, or We Offer A Free Courtesy Pickup From Our Local Airport Piedmont International Airport! We Make It Convenient and Easy For You! 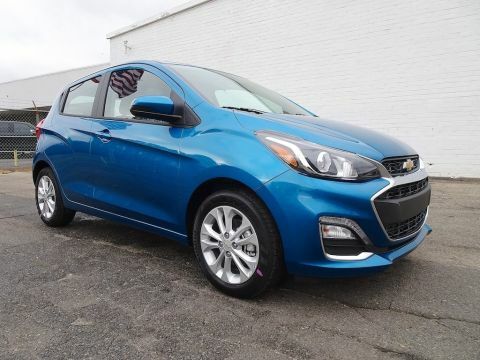 Our great looking 2019 Chevrolet Spark 1LT Hatchback is shown proudly in Caribbean Blue Metallic as it pairs incredible functionality and style! Powered by an innovative 1.4 Liter Ecotec 4 Cylinder that delivers 98hp while paired with a seamless CVT for instant acceleration. 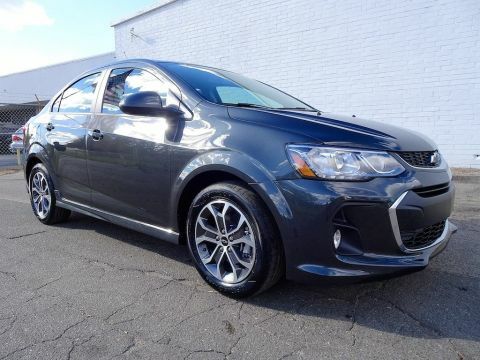 This Front Wheel Drive will take you as far down the road as you need to go while scoring near 38mpg whether maneuvering through fast-moving, bumper-to-bumper urban traffic or out on a long road trip, you'll be well-equipped behind the wheel. Our 1LT has a low roof height and a youthful, yet refined appearance with its distinctive headlights. Open the door of our Spark 1LT and check out the spacious interior as it boasts twice the cargo room of its closest competitor. Appreciate remote key-less entry, power locks/mirrors, and steering wheel mounted controls for phone, audio, and cruise. 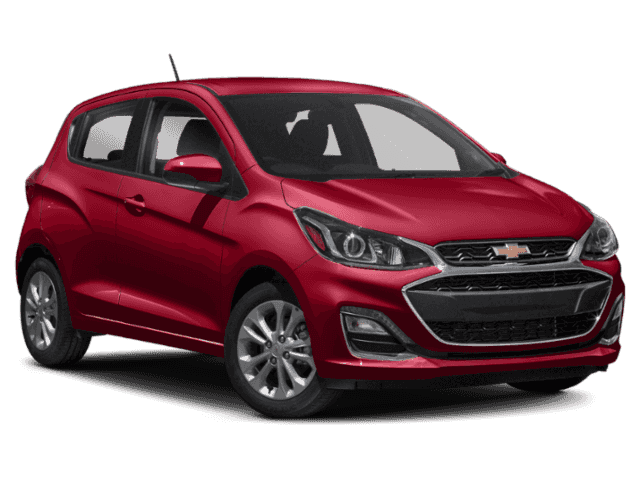 Settle into the supportive bucket seats and get acquainted with Chevrolet MyLink Radio with a 7-inch color touchscreen, AM/FM stereo, USB port, auxiliary jack, Bluetooth, as well as Android Auto/Apple CarPlay compatibility and available OnStar with WiFi.